The Ultimate polish by Meguiar's came to complement the optional step before shining, increasing the gloss and reflectivity of your car! 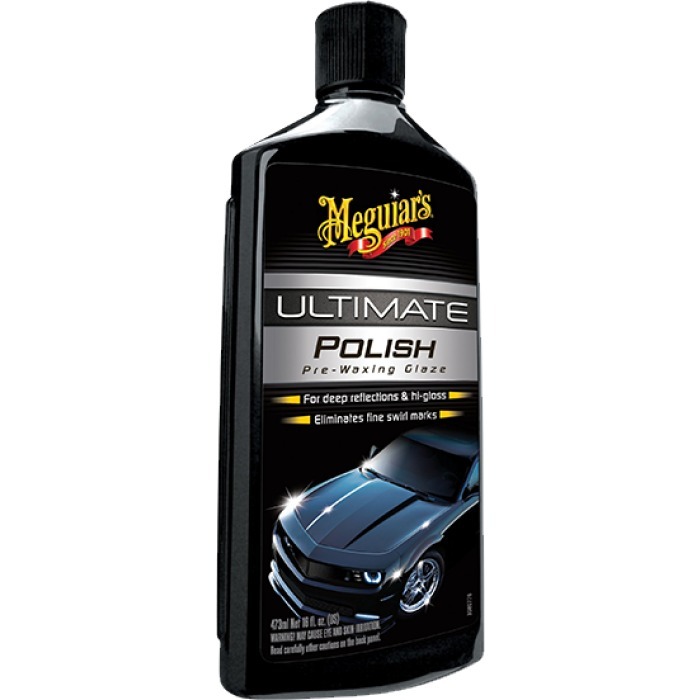 The Ultimate polish is used at the third step at Meguiar's for a more intense, car show level gloss, since it enhances color depth and gloss for a better finish. It contains rich polishing oils which act on the painting surface. Net weight: 450ml.